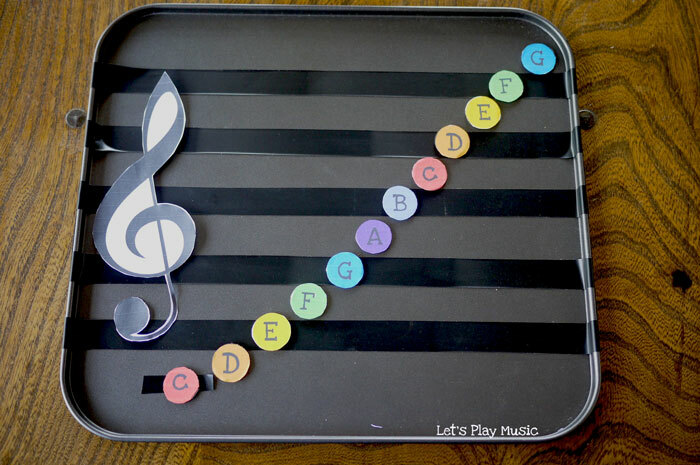 This DIY Magnet Music Notes activity is so easy and cheap to make, and in these days of digital overload it has a refreshingly retro appeal! It’s so important to make learning to read music fun, and this is a good way to keep it hands on and visual. These sort of music manipulatives are a great way to encourage engagement and hold the attention, so this is a handy resource for using in classes or at home. 1/2 Inch Sticky backed craft magnets which you can buy easily online for making fridge magnets. Print off the sheet and mount on to card, then cut out the notes and the clefs and attach them to the sticky magnets. The notes are slightly bigger to allow for cutting out. 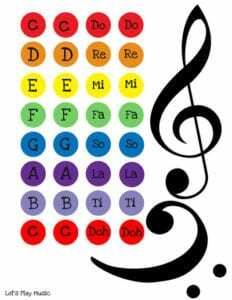 Just attach one magnet to the back of each clef at the strongest point. 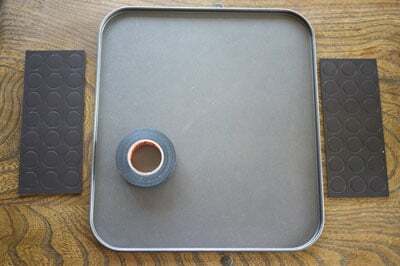 To make the stave; using a ruler attach one strip of tape across the middle of the baking sheet. Then attach two equal strips above the middle line, 1 inch apart. Then two strips below the middle line to make the 5 line stave. Also make a 1 1/2 inch, short strip to be the extra leger line for middle C to sit on. Put all the notes on a flat surface face up, and start with a blank stave. Find the correct magnet notes for the lines of the stave. A good memory test is to first set the notes on the lines or spaces, and then tell the child to close their eyes while you take one away. Then they open their eyes and have to tell you which one is missing. 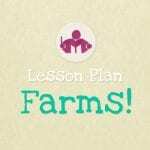 This guessing game can be played both ways – children love trying to test the teacher too! 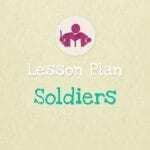 This method can also be used for teaching the order of notes of the lines and spaces in C major – just ask the children to search for each note in turn, starting with middle C and then continuing up to the top F to complete the stave . You can play this game the same way for both Treble and Bass clefs. It’s best played with 2 people, so make sure there is a double set of magnet notes to make sure there are enough for both players to build their stave. Each child starts with a blank stave, and all the magnet notes are placed face down on the table. Quite quickly, each player in turn chooses a note and turns it over; you can only start when you find a C and if they don’t need the note it should be replaced face down. Everyone should be watching carefully! Because you need to remember where all the other notes are hiding! When they’ve found a C each, they can start to build their stave of notes. The game proceeds in this way; each player taking turns to turn over a note. But they can only pick it up and put it on the stave if it is the next consecutive note that they need for their stave i.e D, E F, G and so on. Continue in this way until they have completed their stave of notes. It gets easier and easier to remember where the notes are hiding as the game proceeds and there are fewer notes to choose from. The first one to complete their stave is the winner. If you’ve enjoyed this post, check out our new How To Read Music Theory Bundle? 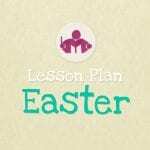 It’s the fun & child friendly way to learn to read music! Hi Sara, Thank you for sharing these great ideas. I tried to print off the body percussion rhythm flashcards (from your previous email) and have been unsuccessful. Can you please tell me it is the link in your article or can you send it to me directly? Sorry to hear there was a problem! No worries, I’ve emailed the printables direct to make sure you’ve got them. Hope you have fun with them! How can I print the directions for the DIY Magnet music note game and game instructions? Is there a special place to go to download? Hi Ethelyn, I’m glad that you’re enjoying Let’s Play Music! ???? You can download the magnet note sheet as it is a PDF, but I’m afraid the rest of the post is not downloadble. However, you can always just print the webpage by going to file and print, or you could take a screenshot of the part of the page and print that off instead.